Well, there were definitely many birding highlights from 2010. From birding in Indiana to traveling through the Mexican countryside I saw more species this year than I had in any past years. 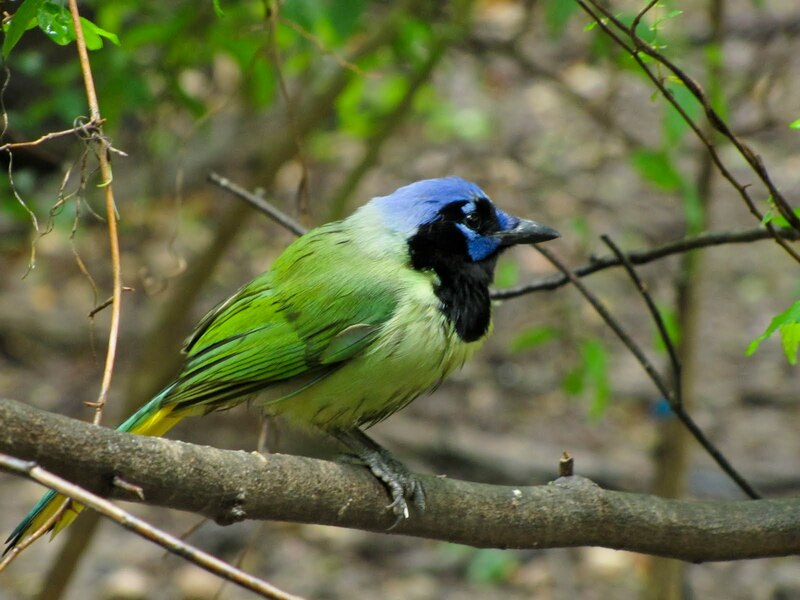 Green Jay-During spring break I was able to travel to the Rio Grande Valley with Rob and my Dad and see many beautiful Green Jays along with most other Texas specialties. 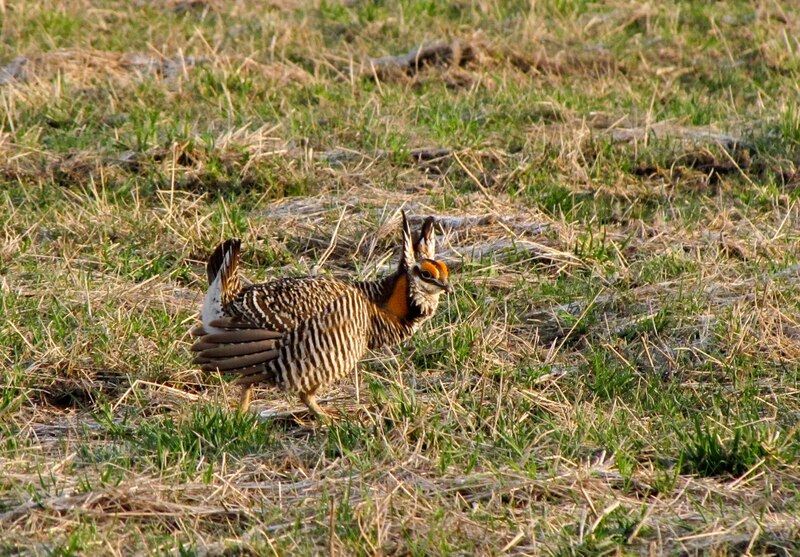 Greater Prairie-Chicken: In March I went to Illinois with the Indiana Audubon Society to see some displaying chickens. 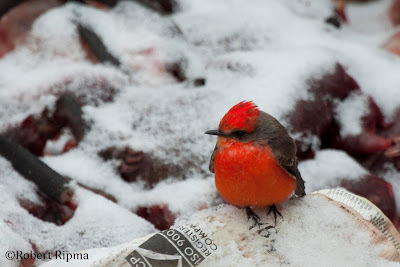 It was definitely one of the most interesting bird behaviors I have had the chance to watch. 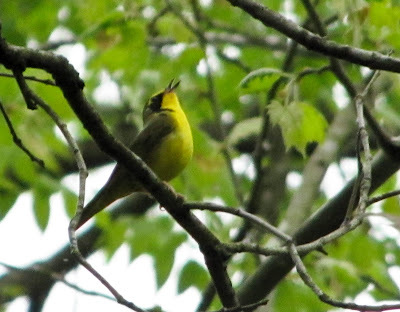 Kentucky Warbler: During April and the start of May I was able to experience the warbler migration in Indiana. 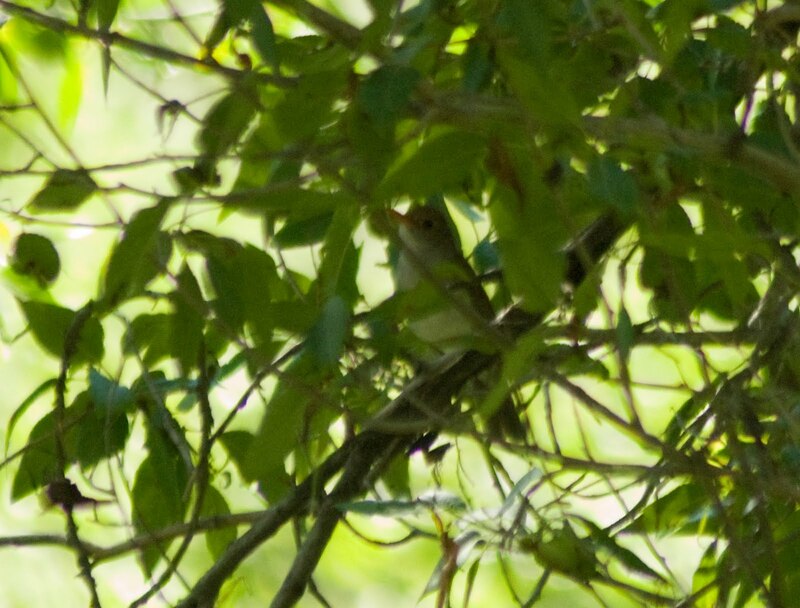 Through the short time I was in the state I saw over 30 species of warblers. 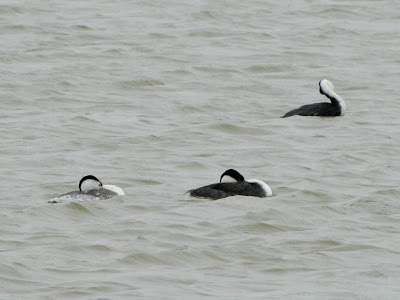 Clark's and Western Grebes: During parts of May and June I surveyed birds in North and South Dakota. On this incredibly windy day I was able to watch two grebe species from the car. Chestnut-collared Longspur: One of the quintesential birds of the Dakota prairie. I saw many longspurs throughout the summer. Theodore Roosevelt National Park: I spent 4-5 days in the park due to storms delaying the surveys that I had to complete . . . at least it is an awesome place. 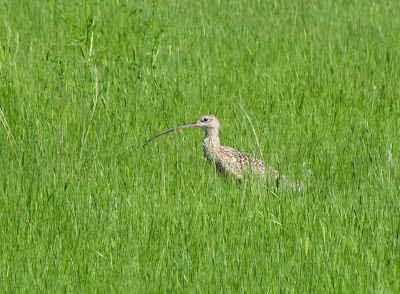 Long-billed Curlew: One of the prairie nesting shorebirds in the Dakotas. 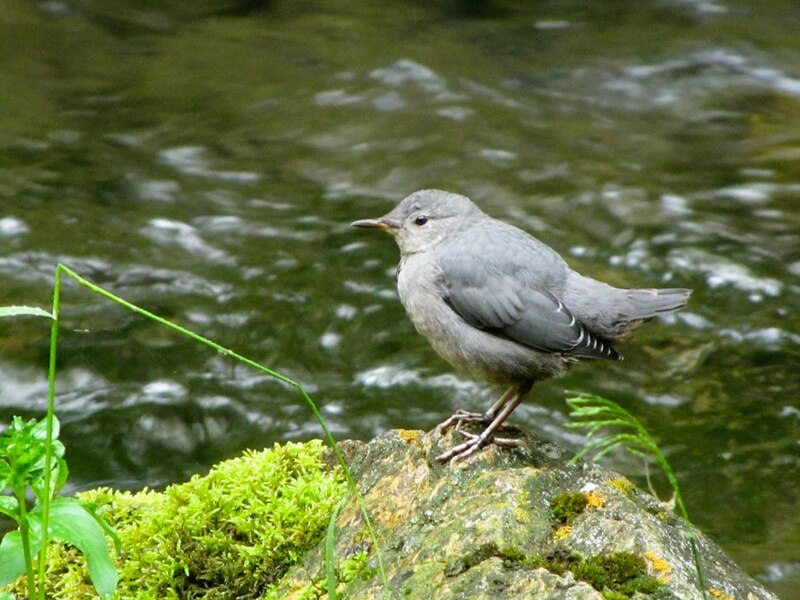 American Dipper: One of my favorite birds. 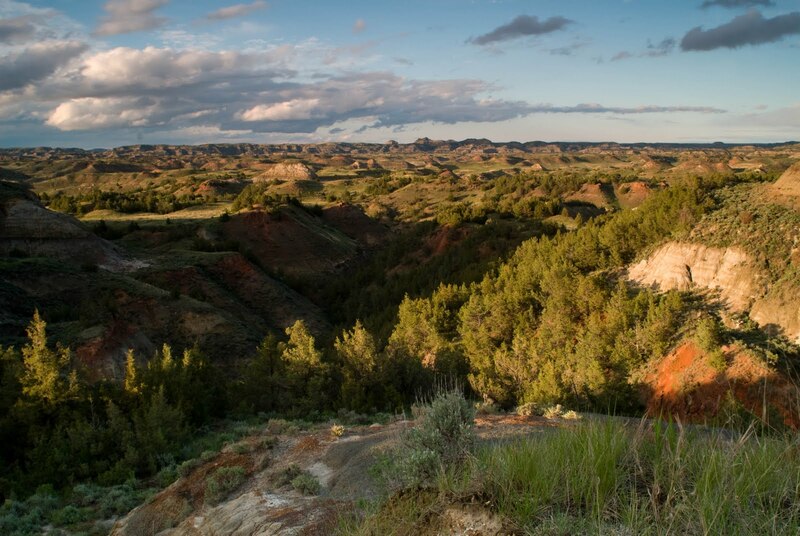 This one was found in the Black Hills of South Dakota. I also did bird surveys in the Black Hills for a few weeks this summer. 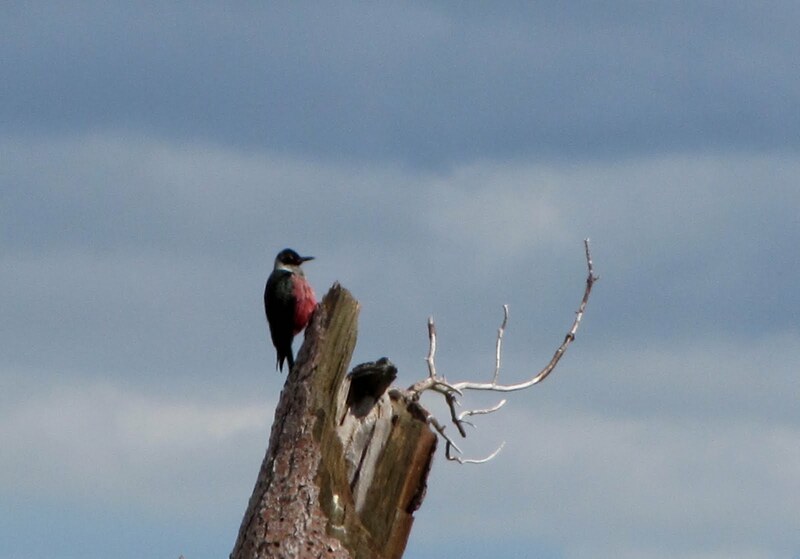 Lewis's Woodpecker: An awesome woodpecker that can be found in the Black Hills. Orange-billed Nightingale Thrush: One of the top 2 birding highlights of my year. I was lucky enough to find this third US record hundreds of miles away from its normal range in Mexico. 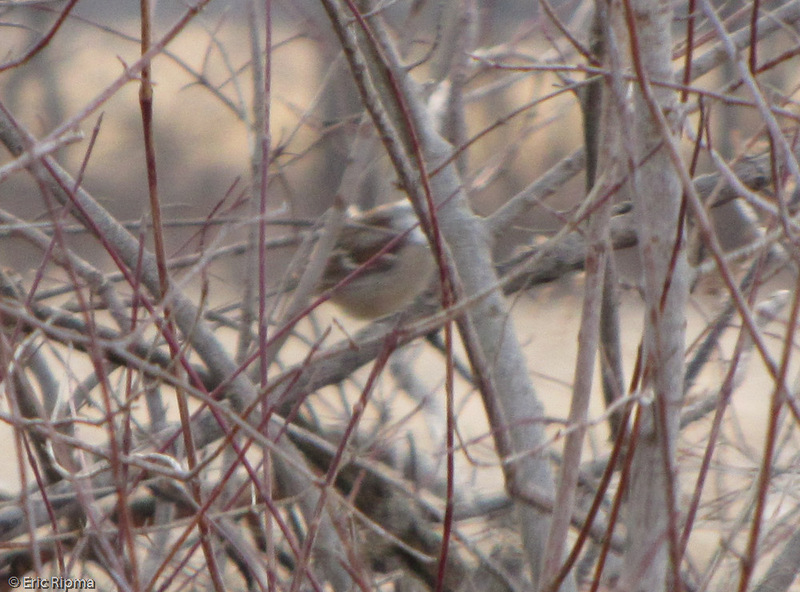 Five-striped Sparrow: One of the many birds that I was able to find in Arizona. This sparrow is only found in a few canyons in southeast Arizona. Spotted Owl: One of the "must see" species on a trip to Arizona. 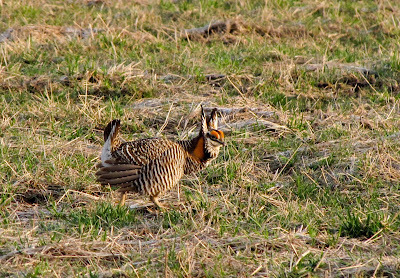 Rob and I saw this pair within about 20 feet of the trail. 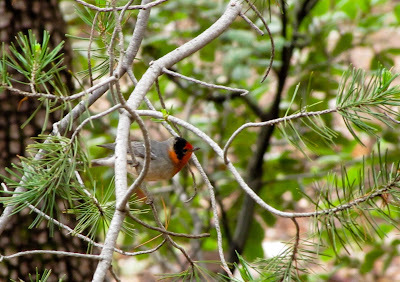 Red-faced Warbler: Another of the target birds for any trip to Arizona. White-eared Hummingbird: A southeast Arizona specialty. 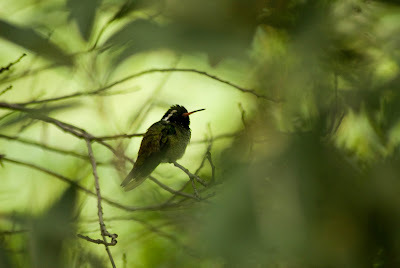 There were a few coming to the Beatty's feeders in the Huachucas-one of the only reliable places to see them. Eared Quetzal: One of the major highlights of a trip to Mexico. This "tough to see" species perched out in the open in the same tree as the rare Thick-billed Parrot. 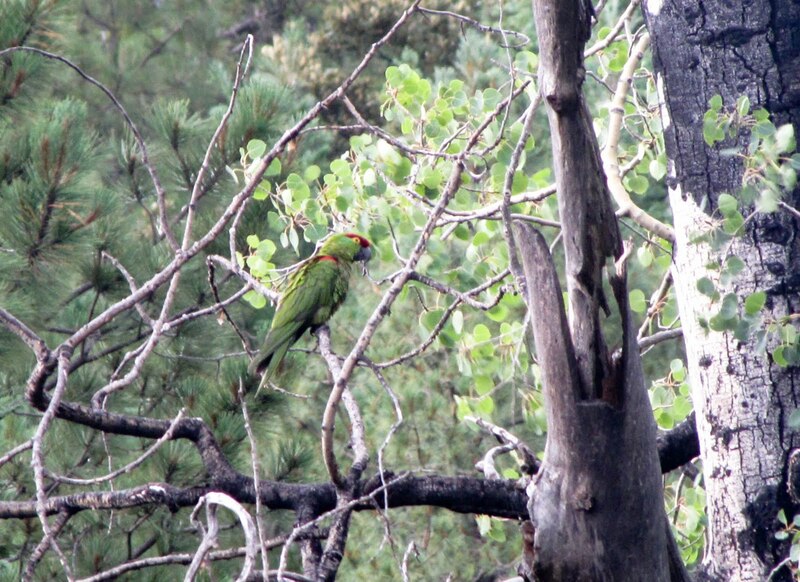 Thick-billed Parrot: An amazing parrot-in the same tree as the above Eared Quetzal. 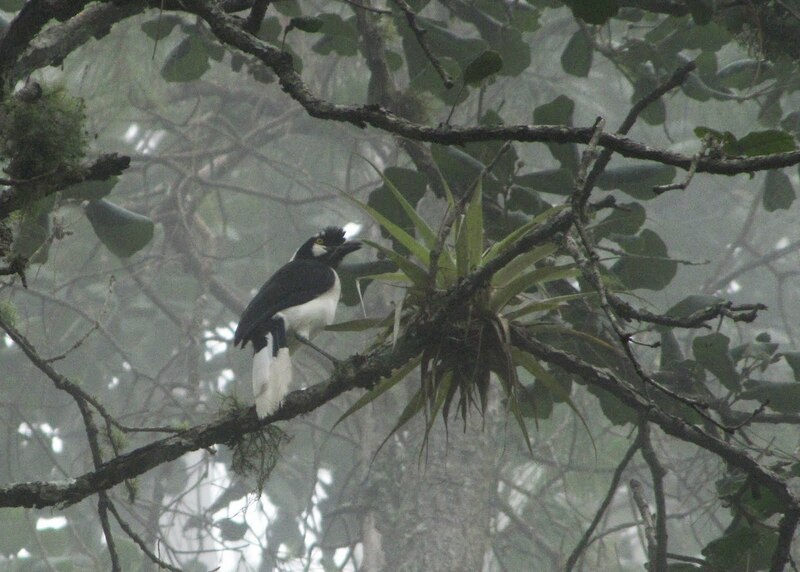 Tufted Jay: One of the crown jewels of Mexico. This endemic Jay is found along the Durango Highway and is one of the most stunning birds I've ever seen. A couple of us took a boat out near Colima, Mexico. 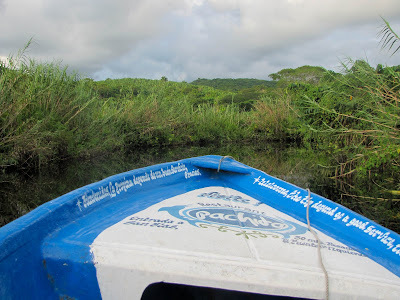 The highlights were Northern Potoo and Boat-billed Heron. The year ended well in December with a couple of highlights. 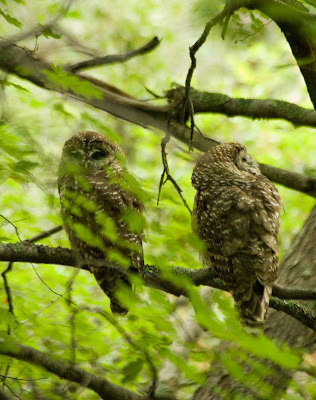 The first were these Short-eared Owls that showed up at Eagle Creek Park in Indianapolis. These constituted a first park record. 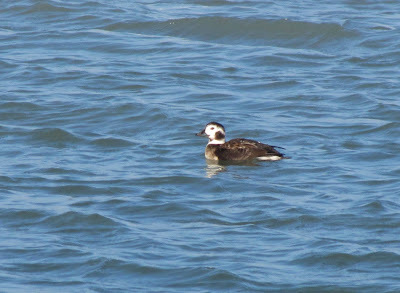 Long-tailed Duck-the other highlight came with a few birds that were found along the lakefront. 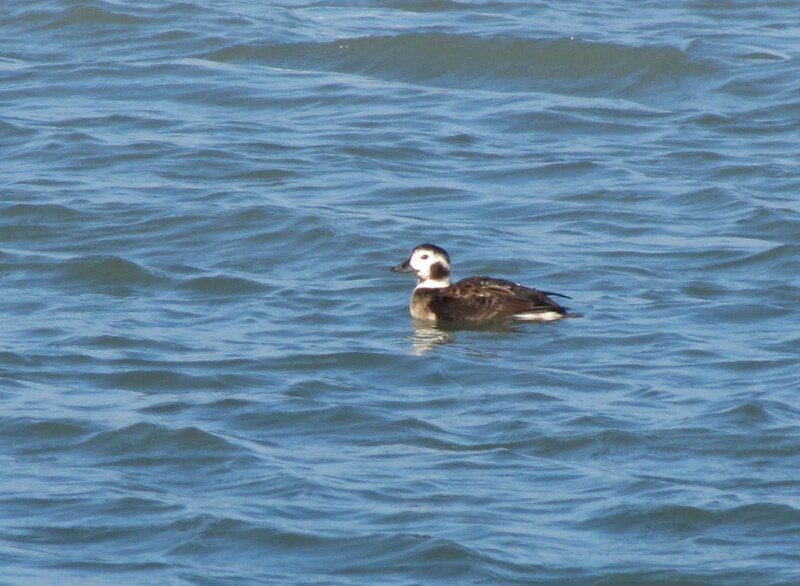 These included great looks at Long-tailed Duck and Black-legged Kittiwakes and other birds such as Surf and Black Scoter and Glaucous Gull. Now, off to look for a Slaty-backed Gull on Lake Michigan-only the second state record for Indiana. To start off the Christmas Bird Count season I drove over to Linton, Indiana to meet our group at the McDonald's. After getting our assignment of GP10 I drove down to the unit to meet Rob and Chad. While waiting in the parking lot the first Lapland Longspur flew overhead. After Rob and Chad arrived we hiked around GP 10N which is about 2-3 miles of hiking. Throughout the hike we had sparrows flying up from our feet but almost all were American Tree and Song Sparrows. At the end of the hike we found another small flock of sparrows that contained our best bird of the day, a Vesper Sparrow. It turned out to be the only one for the count. I didn't stay for the second half of the day because I still had one final to go for the semester and needed some time to study. 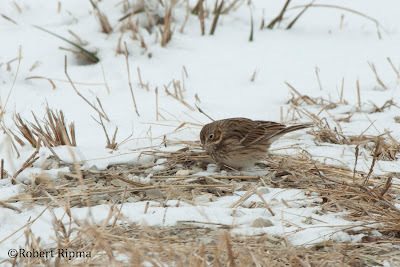 Vesper Sparrow on the Goose Pond CBC. 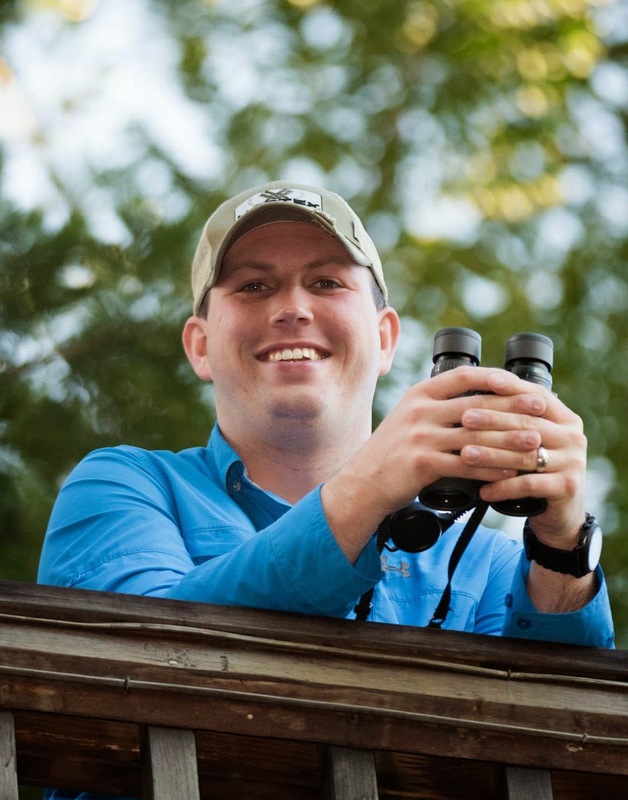 On Saturday I participated in the Hamilton County Christmas Bird Count. 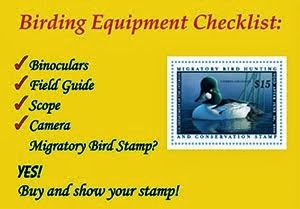 I've been doing this count every year since I started birding. With all of the cold temperatures recently 95% of the water in the county was frozen. Our group was responsible for covering Strawtown Koteewi Park. Our group split up to cover the north and south units seperately. 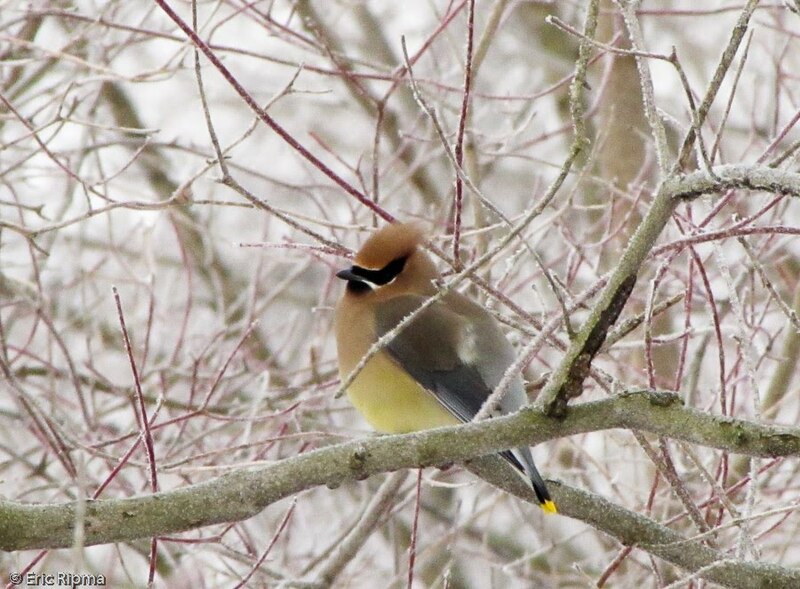 Both areas were loaded with American Robins and we also had quite a few Cedar Waxwings. While most of our hike was uneventful we eventually started seeing a few good species such as Savannah Sparrow and Northern Harrier. Both of these species are tough to find during the winter in Hamilton County. One of the common species on the Hamilton County CBC. Cedar Waxwing-we had a couple flocks of waxwings during the CBC. After our whole group met back up we drove a few county roads north of Strawtown. 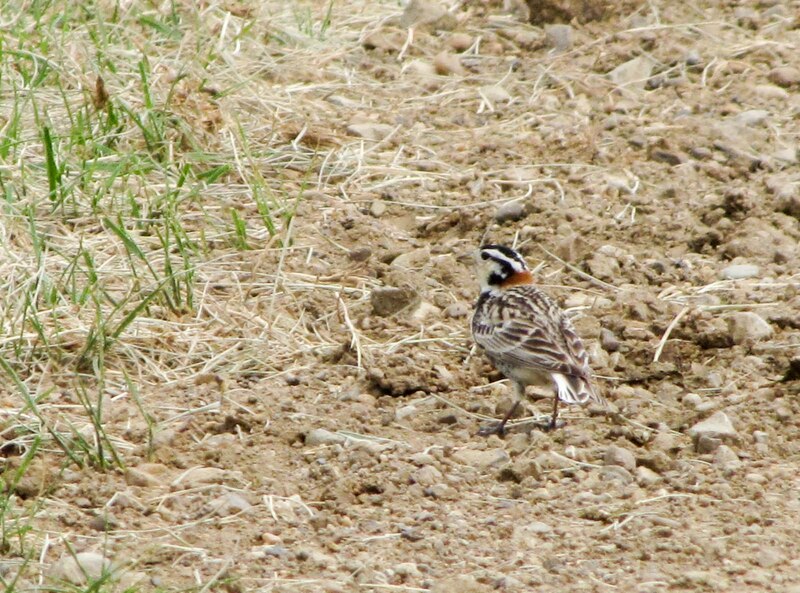 After a few minutes we ran into a few Horned Larks. After a couple minutes a Lapland Longspur flew in and was eventually followed by 6-8 Snow Buntings. I finished up with a quick check of Morse Reservoir which was almost completely frozen. But there was one Great Blue Heron and a Bald Eagle soaring above Morse Park. 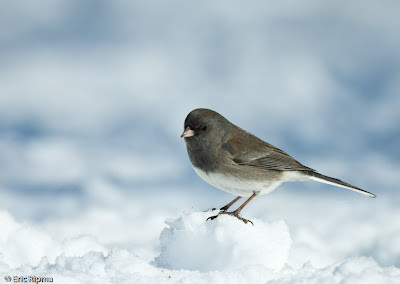 As always the CBC season was a fun birding experience. 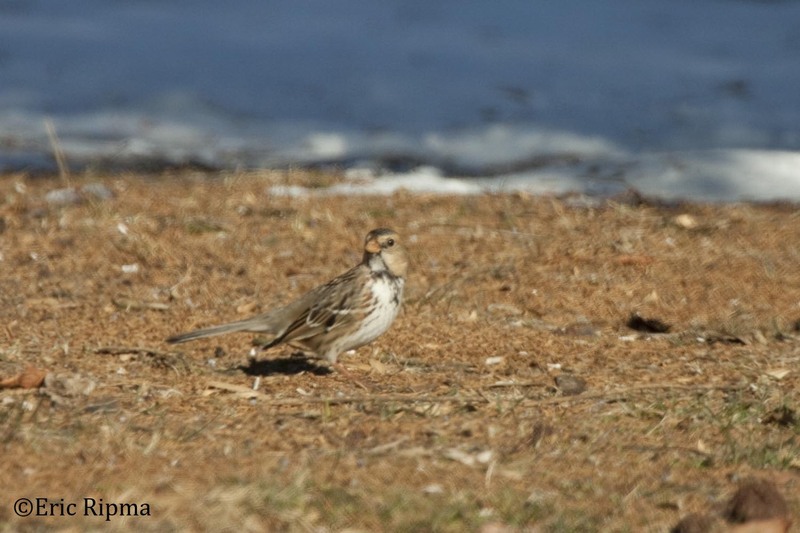 Today I headed down to Bloomington to meet up with Eric to look for a Harris's Sparrow that had been reported at Paynetown SRA on Lake Monroe. I picked him up at 12:45 and headed towards the lake. When we pulled into the parking area where the Harris's had been seen, there were two other birders there looking for it but they had not seen the bird yet. 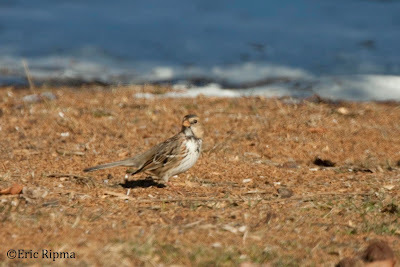 A local birder has started a seed pile in the campground at the site and the sparrow has been frequenting that pile. You are actually able to sit in the warmth of your car and wait for the bird to show up! After about 10 minutes, Eric spotted the bird directly in front of my car. We watched and photographed the bird for the next 20 minutes but it never really came close enough for a great shot. This is the best that shot that we managed to get. This is only the second time that either of us had seen this bird in Indiana. Since it didn't take us long to find the Harris's Sparrow we decided to look for some waterfowl on the lake. There were tons of Hooded Mergansers and a few other species but nothing out of the ordinary. All in all, it was a great day with one very exciting bird! Last night my friend Chad and I decided to chase a rare bird that had been reported in Marshall County, Indiana. He met me at my apartment at 7am and we started our 2.5 hour drive to an Amish farm outside of Bremen, Indiana. 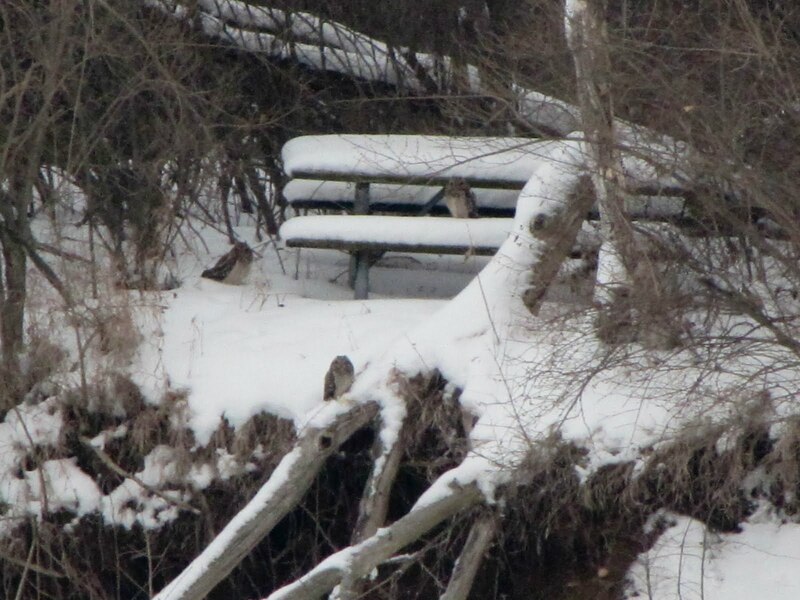 As we pulled into the driveway, we noticed that a couple of other birders were present. Before we could even start looking around another 4 birders pulled in. It only took 20 minutes of looking around before we found this beautiful Vermilion Flycatcher. Over the next hour we got wonderful views of the bird and it approached closely enough for us to take some awesome pictures. 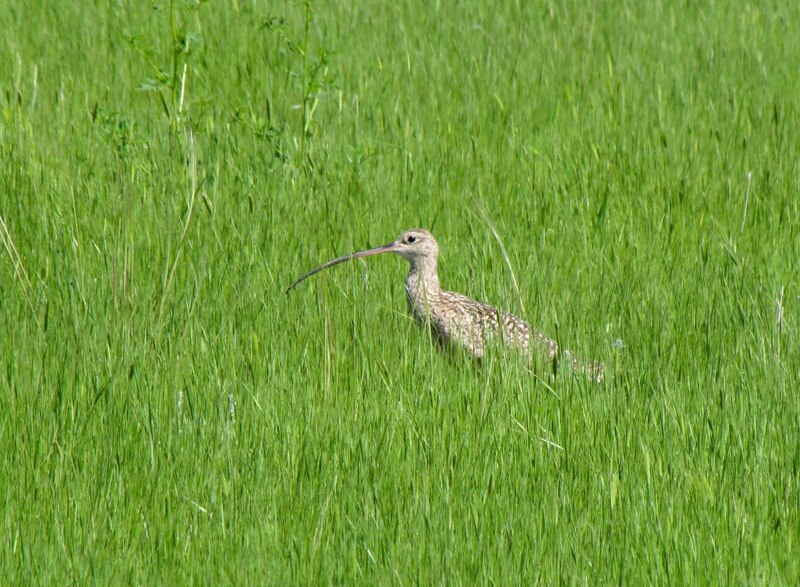 This bird was originally reported by the property owner and a couple of birders were able to check it out. 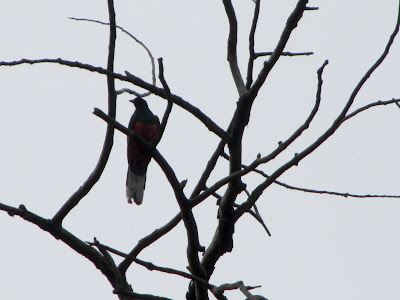 On Tuesday, it was reported on the Indiana Birding Listserv and quite a few birders were able to see the bird on Wednesday. 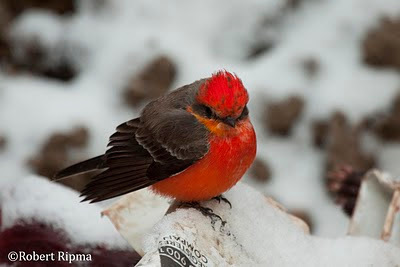 The homeowners are very graciously allowing all birders to come and see the flycatcher. The home is located at 660 4th Drive, Bremen, IN. They have a huge driveway for everyone to park in. This is private property. Please be respectful so that they will invite us all back if they ever have another rare bird! This is the 3rd state record for this species and the first since 2004. Hopefully it will head on to warmer climates soon! Next we decided to head to Lake Michigan to make a stop at Michigan City Harbor. There were pretty much no birds at the harbor and the only highlight was the resident Peregrine Falcon. Since we didn't have all that much luck at the harbor we decided to take a drive down Beverly Drive to look for a Northern Shrike that had been reported recently. 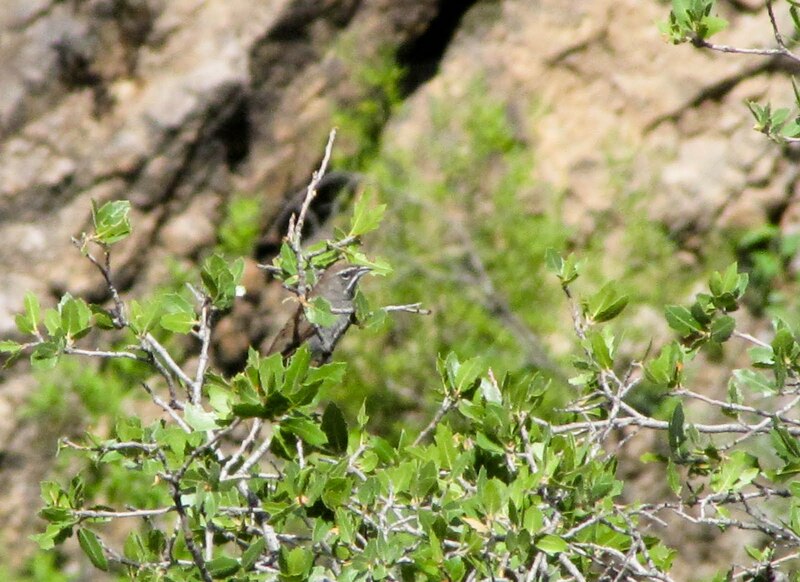 We found the bird easily and got great looks at this lifer for Chad! All in all it was a great day with two exceptional birds!